Christmas has died down, and the next big thing to look forward to is all the sales that come out shortly after the Holiday period. From furniture to fitness equipment, you’ll see all kinds of things advertised for discount prices. But one thing well worth looking into is new gadgets. Electronics and Department stores often try to shift their stock around this time. You can expect all kinds of electronics discounts leading up to the New Year and throughout January. It’s a fantastic time to grab yourself a great discount on something exciting. Here are some of the must-have electronics to get this January. 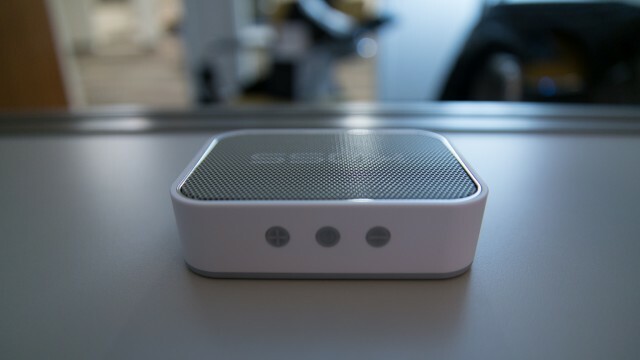 Whether you want to fill your living room with tunes or get something for listening in the bedroom, a set of Bluetooth speakers will do the job. They can be taken anywhere and connect with any Bluetooth device for high-quality audio. There are many sites which can give you advice on buying these. For instance, www.speakerdigital.com can give you reviews on many different kinds. Amazon often has fantastic deals on these. No matter what you want to use it for, get a set of these. They’re practical for music, watching TV, and even audiobooks. Television sets are likely to go on sale throughout stores and all over the web. If you could use an upgrade in your home, it’s well worth looking for a new TV. The things TVs are capable of these days is amazing. You can get huge sets for less than a grand. Many of these also have useful built-in features. You might want to look into Smart TVs- they’re capable of using various apps for watching new shows and films. Whether you want to catch up on NetFlix or need something to play games, a Smart TV will suit you. For ideas of things to do with your smart TV check out www.dumblittleman.com/how-to-get-most-out-of-your-smart-tv/. A lot of people like to make home improvements in January. It’s generally a relaxed time, and with furniture and homewares going on sale, it makes sense. It’s also the perfect time to look into getting new appliances. You can find eco-friendly dishwashers and tumble dryers for sale around this time. If you have the money, you might even want to look into smart fridges. Home appliance and gadget stores often have appliance sales in January. If you want to get an extra tasty deal, check out refurbished stock- it’s often as good as new but at lower prices. Whenever you get a new appliance, make sure that you get one with an excellent warranty deal. Smartwatches seem to be the next big gadget. More and more people are heading out with one of these nifty devices strapped to their wrist. Smartwatches are capable of accessing the same apps as your smartphone, albeit from a much smaller screen. They’re particularly useful for fitness enthusiasts. They can count your steps and calories burnt when you go for a run. They can also be used for playing games and listening to music. You can find various smartwatches for both Android and iOS devices. Look out for deals and check blogs like www.dorylabs.com/7-apps-transform-smartphone-multi-functional-machine/ for cool apps to download. Previous articleHow Are Smartphones Changing The Way Companies Operate?